Fawlty Powers: When Is A Permission Safe From Judicial Review? A case last month arising from a howler of a permission for the erection of three marquees in the grounds of a hotel, a permission that was intended to be temporary but was issued without any condition to that effect, has potentially created a real mess. Pretty much the main thing that the commercial and financial world always wants from any consenting or licensing system, and certainly the planning system, is certainty as to when any necessary consent or licence, such as a planning permission, is free from legal challenge. Central to the legal due diligence work in relation to any operational business with a bricks and mortar presence, for instance in connection with its financing or acquisition, and certainly in relation to any property or development financing or acquisition, will be the need to report on the operative planning permissions and whether they are now beyond risk of being quashed by the courts. Once the judicial review period has passed, it is assumed that a permission can safely be relied upon, money can be lent or invested, properties or companies can be acquired. If the judicial review period has not yet expired, transactions will often be made conditional on its expiry without proceedings having been commenced. Judicial review periods are deliberately short so that we can all safely rely on public bodies’ decisions after a relatively short period. Compared with the six or twelve years’ limitation periods that are common in private law, the traditional principle in relation to judicial review is that proceedings must be brought promptly and in any event not later than three months after the grounds upon which the claim is based first arose (Civil Procedure Rules Part 54.4). – In relation to statutory challenges, for instance under section 288 of the Town and Country Planning Act 1990 for challenges of decisions of the Secretary of State and his inspectors on planning appeals and called-in planning applications, or under section 113 of the Planning and Compulsory Purchase Act 2004 for challenges of adopted development plans, the relevant time limit is six weeks. – Since 2013, the deadline for bringing judicial review proceedings in relation to other matters arising under the Planning Acts (care needed over that definition) is six weeks. But it isn’t quite as easy as assuming that, if these deadlines have passed, the relevant decision is free from any risk of judicial review. CPR rule 3.1 (2) (a) gives judges some discretion. Except where the rules provide otherwise, the court may “extend or shorten the time for compliance with any rule, practice direction or court order (even if an application for extension is made after the time for compliance has expired)“. R (Gerber) v (1) Wiltshire Council (Court of Appeal, 23 February 2016) was a case I mentioned in my 24 March 2018 blog post Once More Unto The Breach Of Legitimate Expectation, Dear Friends. The claimant sought to challenge a planning permission for a solar farm project over a year after the permission had been issued. At first instance, Dove J had been persuaded to allow the claim, accepting that the delay was justified first because there had been a breach of legitimate expectation, established by the council’s statement of community involvement, that he would be consulted at application stage about the proposal and so had an excuse for not knowing about the permission being granted and secondly that part of the delay had been caused by a first firm of solicitors having given ‘incomplete’ advice as to his potential remedies. The parties all accepted that there were in fact errors with the permission which made it unlawful. “The Applicant, who is acting in person, wished to challenge the Inspector’s decision. He proposed to do so by issuing a section 288 claim in the Administrative Court Office at the Royal Courts of Justice, in person, on 23 March 2016. However, that day, he missed his train. Therefore, he emailed the relevant documents to a friend, Mr Miller, who was apparently located only a few minutes from the court; and he asked him to file the claim. It is the Applicant’s case, accepted by the judge below for the purposes of the application before her and by Mr Mills for the Secretary of State today, that Mr Miller arrived at the Royal Courts of Justice at 4.25pm; but, although the advertised closing time for the court was 4.30pm, he was refused entry at the main front entrance of the building, the security guard there informing Mr Miller that the counters were closed. (I don’t know what then happened with Poor Mr Croke’s claim. Deadlines, the risk of missing or incorrect paperwork (or an incorrectly drawn cheque), reduced court hours for filing out of court terms and the current long queues at the Royal Courts of Justice to file claims all combine to give solicitors nightmares – clients, please don’t leave it to the last moment!). All this brings us to last month’s case, R (Thornton Hall Hotel Limited) v Wigan Metropolitan Council (Kerr J, 23 March 2018). The claimant operates Thornton Hall Hotel and the interested party, Thornton Holdings Limited, operates Thornton Manor. The hotels are competitors for wedding bookings and other functions. 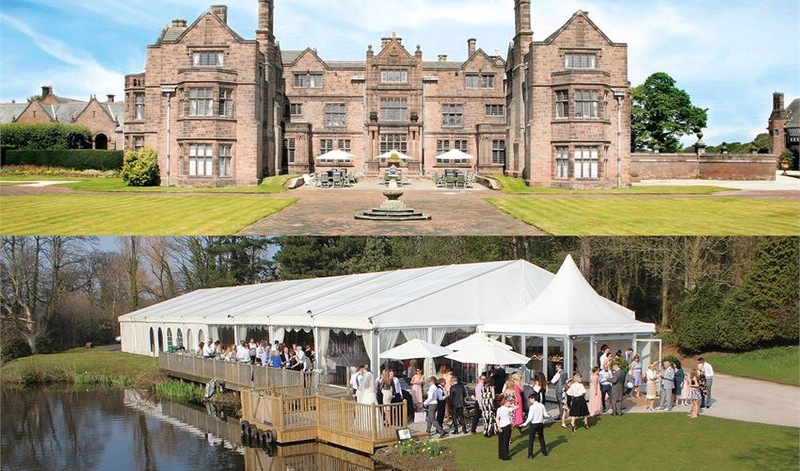 On 7 September 2011 Wigan Council’s planning committee resolved to grant planning permission for three marquees to be erected in the grounds of Thornton Manor. 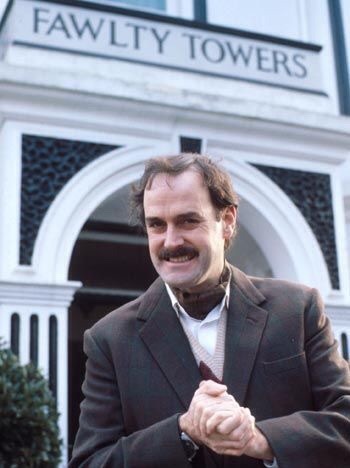 The hotel is in the green belt (as well as being listed grade II* – any Fawlty Towers references in this blog post are by the way wholly inappropriate as will be seen from the above image, courtesy of hitched.co.uk). According to the judgment the committee resolved that very special circumstances existed to allow for the erection of the marquees for a limited period of five years so as to secure “the “generation of an income stream” to enable restoration of the gardens, which were in decline and at risk“. The proposed permission with appropriate conditions was drafted. Indeed, a draft in that form was annexed to a section 106 agreement that was entered into on 11 November 2011. However, the actual permission that was issued on 20 December 2011 and placed on the council’s website omitted any conditions whatsoever, no restriction to five years, no nothing. The agent for Thornton Holdings cottoned onto this immediately and said nothing. However the problem was it seems not apparent to the council until the five years period expired and the marquees were not dismantled. The council took a report to committee in July 2017 accepting that a mistake had occurred. A little over a month later (and almost six years after the decision complained of, ie the issue of the incomplete permission) Thornton Hall Hotel Limited brought its proceedings, which were not opposed by the council – so the hearing was purely hotel versus competitor hotel. 1. The error had been made in issuing the flawed permission. 2. Permanent permission would not granted and would not have been in the public interest. 4. That would be contrary to the public interest. 5. The interested party was aware of the error. 7. It follows that the interested party cannot say that it would be prejudiced by the quashing due to lost bookings. 1. There is no discussion of the public interest in being able to rely on permissions once free from legal challenge. When acting on the acquisition of properties or businesses, what do we now need to do to ensure that our client isn’t going to find that its permission is similarly flawed? Sometimes it will not be at all obvious. Does the permission, even if many years old, need to be checked against the resolution to grant? What about other latent flaws in it? 2. Surely, the council should have sought a revocation or modification order. No doubt it would have had to pay substantial compensation to Thornton Holdings but is that relevant? The permission was on the website and could have been challenged within the deadline. No-one challenged it (and why indeed should it be down to a competitor to spend money at risk on a challenge? What if it hadn’t?). It used to be considered that authorities, in considering whether to make a revocation or modification order, couldn’t take their potential compensation liability into account. To my mind it was a sad day when that changed as a result of the Supreme Court’s ruling in Health & Safety Executive v Wolverhampton City Council (Supreme Court, 18 July 2002). As a result, revocation and modification orders are almost unused. 3. There are of course many examples of flawed permissions which authorities issued in error where hitherto the possibility of a late challenge does not appear to have been considered. (See some of them in my 14 October 2017 blog post Flawed Drafting: Interpreting Planning Permissions). Is this ruling, even if only slightly, going to open the floodgates, particularly in relation to the errors that most frequently occur on section 73 permissions where it turns out that previous restrictive conditions have been lost, for example as to the types of goods that may be sold from a retail park? Does anyone knows whether an application for permission to appeal has been made? I would welcome views as to how we all take on board the practical implications of this case. Or do we simply regard it as turning on fairly extreme facts? I’m not so sure. Author simonicityPosted on April 7, 2018 April 7, 2018 Categories Development management, Judicial review, UncategorizedTags temporary planning permission; JR time limits1 Comment on Fawlty Powers: When Is A Permission Safe From Judicial Review? To my mind, the problems with neighbourhood plans that I listed in my 19.2.17 blog post haven’t gone away. – section 1 of the 2017 Act gives decision makers a duty to have regard to neighbourhood plans as a material consideration once they have been examined, prior to their having been approved in a neighbourhood referendum or finally made (ie ‘adopted’ in local plan language). – section 3 of the 2017 Act requires decision makers to treat a neighbourhood plan as part of the statutory development plan once they have been approved by a referendum (unless the local authority then decides not to make it). In the meantime, the last few weeks have seen various rulings from the High Court and decision letters from the Secretary of State that demonstrate the complexities, uncertainties and tensions that are arising. The claimants, Bewley, Wates and Catesby, were three development companies unhappy that their respective development sites were not allocated for development in the draft Farnham neighbourhood development plan. The case illustrates the real difficulties that arise both with grappling with detailed issues during the examination process and seeking to assert, when the report has been published, that the examiner’s reasoning is deficient. The claimants’ first line of attack was that the examiner was wrong to conclude that the draft plan complied with the basic condition of being in conformity with the strategic policies of the 2002 local plan. The judge found that it was sufficient that the examiner referred to his consideration of Farnham Parish Council’s Basic Conditions Statement, from which it could be taken that he accepted Farnham’s Basic Conditions Statement as the basis for identifying the strategic policies in the Local Plan 2002. Here policy 4.5B in the draft plan sought to safeguard Wicklesham Quarry for employment uses following completion of quarrying and restoration activities on the site and to support such development on it provided that there is a demonstrable need for it, no other suitable site closer to the town centre is available and certain other conditions are met. The claimant was a local resident objecting to the allocation. The claimant also submitted that Policy 4.5B is about a “county matter”, which is a category of “excluded development” that cannot lawfully form part of a neighbourhood plan; and that the District Council erred in treating the quarry as “previously developed land” for the purpose of the NPPF. The deputy judge agreed that the council had indeed been wrong to categorise the site as previously developed land, given the restoration condition. However, he did not consider that the error was material to the outcome of the plan and declined to quash the plan on that basis. 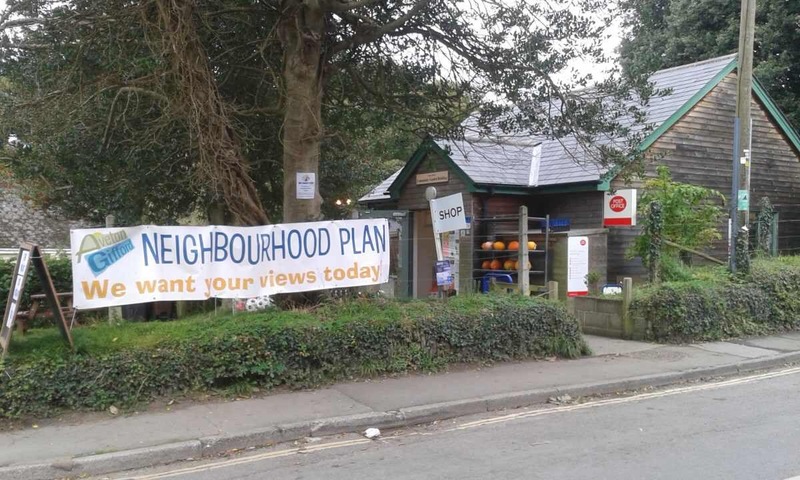 Not easy to challenge a neighbourhood plan, is it? The Secretary of State issued his decision letter on 19 July 2017, granting planning permission to Intu Milton Keynes Limited for extension of the Intu Milton Keynes shopping centre. The application was supported by Milton Keynes Council but had been called in by the previous Secretary of State Greg Clark in November 2015, who indicated that for the purposes of determining the application he wished to be informed as to “the consistency of the application with the development plan for the area including the Central Milton Keynes Business Neighbourhood Plan”. The Central Milton Keynes Business Neighbourhood Plan was England’s first business neighbourhood plan. Central Milton Keynes Town Council objected to the application. As part of its objections it sought to portray the proposals as contrary to policies of the Neighbourhood Plan seeking to protect semi-public open space in Midsummer Place and seeking to retain Central Milton Keynes’ classic grid pattern. However, the Secretary of State agreed with his inspector’s conclusion that the application was “in accordance with development plan policies, including those in the Neighbourhood Plan, and is in accordance with the development plan overall”. The inspector indicated that her finding was “based on a balanced interpretation of Policy CMKAP G3. Had I taken an absolute approach to the policy, the reduction in the quantity of semi-public open space, would have resulted in a breach of the policy. Nevertheless, the proposed development would have been consistent with the development plan as a whole. In the final instance the considerable benefits of the proposal would have been material considerations sufficient to indicate that it should be determined other than in accordance with the development plan”. Yet another application called in so that the Secretary of State could consider whether development proposals (for 400 dwellings as well as commercial development in Fontwell, West Sussex) were consistent with (here two) neighbourhood plans. The Secretary of State granted planning permission, by his decision letter dated 13 July 2017, finding that the proposals were indeed consistent, “subject to careful consideration at the reserved matters stage”. In relation to each of these applications, call in by the Secretary of State on neighbourhood plan grounds has been directly responsible for significant delays, of at least 18 months. In each of the applications there has been significant debate, argument and uncertainty as to the meaning of neighbourhood plan policies – perhaps no surprise given the light touch, difficult to challenge, nature of the neighbourhood plans examination process. Isn’t it time for a proper review of the costs and benefits of the neighbourhood plans system as it is currently operating? The avoidable tragedy on 14 June of Grenfell and its aftermath – with its residents needing to be rehoused and concerns as to the fire safety of many other council housing blocks – has surely focused attention on the challenge of providing adequate housing. We have not built enough homes in this country for generations. In order to fix the dysfunctional housing market, we need to build more of the right homes, in the right places, and ensure the housing market works for all parts of our community. This will help to tackle the increasing lack of affordability by bringing more properties onto the market. It will slow the rise in housing costs relative to the rise in wages, and help ordinary working people gain better access to this most basic of necessities. It will help more ordinary working families buy an affordable home and will bring the cost of renting down. * support people who need help now. Authority and others as outlined in the Housing White Paper. * In 2016, the median house price in England was nearly eight times the median earnings – an all time record high. * Home ownership among 25-34 year-olds in England has fallen from 56% in 2005/06 to 38% in 2015/16, whereas the percentage of 25-34 year-olds living in the private rented sector increased from 24% to 46% over the same time period. “If you are a developer who wants to invest in and be invested in the future of our city for the long haul you are very welcome. – closer prescription as to the appropriate methodology to be followed – and for that methodology to follow economic reality as closely as possible so that, on the one hand, developers cannot avoid their proper obligations but, on the other, equally importantly, so that they still have every incentive to develop. – alongside that greater prescription, real penalties for those who game the system and bring it into disrepute. – due recognition for genuine altruism – how can we encourage good behaviour? It is crucial to crack this because what the public perhaps doesn’t appreciate is the degree to which affordable housing subsidies are being left to be provided by the private sector – see for example the government’s latest statistics (April 2009 to March 2017) as to HCA/GLA funded affordable housing starts/completions by tenure type. The current realities of viability negotiations have been exposed to the light in Minerva (Wandsworth) Limited v Greenland Ram (London) Limited (Rose J, 23 June 2017), a contractual dispute over an overage payment that Minerva, seller of the Ram Brewery site, successfully claimed from its purchaser, Chinese developer Greenland for securing a section 73 permission enabling a tower within the redevelopment scheme to be two storeys higher than initially approved. The factual account by Mrs Justice Rose is relentless in its detail. One theme of the Minerva case was the way in which the different parties’ viability consultants arrived at vastly differing figures, given the uncertainties as to the approach to be taken to, for instance the hypothetical land cost (benchmark land value) to be taken into account. Whilst the Mayor has set out his preferred approach in his draft affordable housing and viability SPG, the debate has continued and there have been two decision letters this month where inspectors have had to arbitrate between differing approaches taken by appellant and LPA. I referred in my 18 June 2017 blog post to a decision letter dated 12 June 2017 concerning a site at the junction of Notting Hill Gate and Kensington Church Street in which Inspector David Nicolson considered that the site value of £33m within the appellant’s viability appraisal (and indeed agreed by RBKC) was too high and he consequently did not accept the appellant’s position that affordable housing “could not be provided on site or, more importantly, that there needs to be a loss of all the existing 20 social housing bed spaces on the site or a net loss in the borough“. The inspector gave little weight to an alternative use value approach and was sceptical as to any figure that might be arrived at using an EUV approach. In his view, in the absence of any planning permission, there was “little sound evidence to show that the site is more of an asset than a liability”. The 19 June 2017 decision letter issued a week later in relation to the proposed redevelopment of the former Territorial Army Centre, Parkhurst Road, Islington was highly unusual as the central issue for the inspector, Michael Boniface, to determine was “whether the development would provide the maximum reasonable level of affordable housing in accordance with the development plan”. The proposal, by Parkhurst Road Limited, was for 96 homes and related works. The appellant had purchased the site for £13.25m in May 2013 from the Ministry of Defence. At the inquiry the appellant offered to provide 10% affordable housing (up from an initial position that 0% was justified given the viability position). Islington Council’s final position at the inquiry was that it would accept 34% (down from an initial requirement of 50%). The main issue between the parties was as to the appropriate land cost to be allowed for. The benchmark land value argued for by the appellant was £13.26m, a figure established at a previous inquiry, and sought to support the figure by reference to various comparables. The council argued for the EUV+ (existing use value plus premium) approach advocated for by the Mayor in his draft SPG and put forward a figure of £6.75m, which approach and figure was favoured by the inspector. The inspector was also not satisfied with the review mechanism that was proposed. Of note for other schemes in Islington, the inspector did not support the council’s proposed obligation, pursuant to its “Wasted Housing Supply” SPD, that would have required that none of the dwellings be left unoccupied or unused for a period of three months or more. The inspector did not consider on the evidence that the obligation was justified or that it could be properly and fairly enforced. Obviously all eyes are on Alok Sharma, new housing and planning minister, for some hint of the approach that he will take. In the meantime, in London, the adoption of the Mayor’s affordable housing and viability SPG in July will provide more certainty, together with first sight of his draft Replacement London Plan later in the year. But ahead of that, an announcement is due on 26 June as to the Mayor’s proposed changes to his CIL charging schedule (to come into effect in 2019). Just remember that almost every penny of any extra charges levied on housing schemes will simply feed through into viability assessments and will reduce any surplus available for affordable housing. Time finally for a quick plug: LD Events’ annual Viability & Planning conference is taking place on 28 September 2017. This blog post scratches at the future of planning, which is a ridiculous topic in some ways. 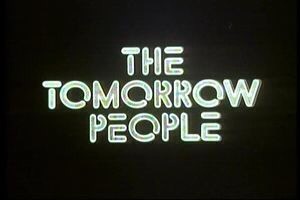 After all, whether the political priority of the day is to predict and provide, or to intervene and influence, the whole of planning is about the future (albeit learned from the past, and carried out in the inevitable fog of the present). Isn’t that why it is so fascinating? Do we really know what lies ahead, however robust the OAN, however detailed the TEMPro modelling, however in-depth the OBR forecasting? Politically, economically, technologically, the future comes at us fast – the outliers are always here already if only we notice them. We have seen massive IT resilience issues in the light of the Google Docs malware attack, particularly affecting public services reliant on older software, and in the light of the BA global systems failure. We have seen the partnership announced between Moda Living and Uber to provide up to £100 monthly Uber credits to Moda tenants, who would forego a parking space. “Sidewalk Labs LLC, the urban innovation unit of Page’s Alphabet Inc., has applied to develop a 12-acre strip in downtown Toronto, responding to a recent city agency request for proposals, according to two people familiar with the plans. Details of the proposal are private, but these people said the bid fits with the company’s ambition to create a connected, high-tech city or district from scratch. Last year, the company began talking openly about building a theoretical urban zone “from the internet up,” with some of the same tools and principles that have fueled success at many tech companies. Before applying in Toronto, Sidewalk Labs discussed creating a district in Denver and Detroit with Alphabet executives, according to the people. They asked not to be identified discussing private plans. A representative for Sidewalk Labs confirmed Doctoroff’s speech but declined to comment further. Doctoroff was CEO of Bloomberg LP and worked as deputy mayor of New York City when Bloomberg founder Michael Bloomberg was mayor. Canadian officials set up Waterfront Toronto, a public corporation designed to revitalize a 2,000-acre downtown plot, in 2001. Earlier this year, the agency requested proposals for part of that area: a new “community” called Quayside to be developed with a private “innovation and funding partner.” Quayside would be “a testbed for emerging technologies, materials and processes that will address these challenges and advance solutions that can be replicated in cities worldwide,” the city wrote in its invitation. Andrew Hilton, a spokesman for Waterfront Toronto, declined to comment on the applicants for Quayside or its funding structure. The agency plans to identify its development partner by June at the earliest, according to its proposal document. Formed two years ago, Sidewalk Labs was among the first independent units of Google before it turned into the Alphabet holding company. So far, the most visible project is LinkNYC, a network of ad-supported Wi-Fi kiosks in New York City run by Intersection, a Sidewalk Labs investment. Technology-focused companies such as Google, Amazon, Tesla, Apple and Facebook (not to mention Bloomberg itself) are massive influences for all of us in the planning world, directly through their increasing space and employment requirements (with their HQs being medieval fortress cities of ancillary uses) but also through the scale of their pioneering ambition. 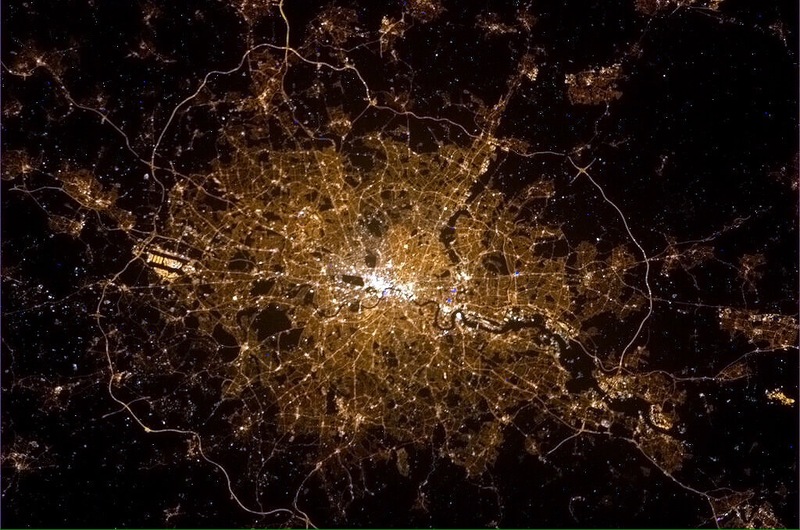 Self-driving cars, drone deliveries, blockchain, smart cities – to what extent does our planning system even attempt to plan for, or at least not make more difficult to achieve, an internet-of-things future that is more connected, more without boundaries than we can quite imagine? When I started work in the 1980s I never imagined an email, let alone a smartphone, or an online purchase. And nor did any plan of the time. Whatever the election outcome (which you in the future reading this after next Thursday will know – please tell), this is all obviously right. But how do we do it, and do it right? If the Conservatives return to office, rapid progress needs to be made in response to their Building Our Industrial Strategy green paper from January 2017. We also need to examine whether our planning system is fit for the future. I have previously blogged as to how in my view the C classes of the Use Classes Order do not reflect modern ways of living. I don’t believe that the B classes of the Order reflect modern ways of working. – City Swipe being used in Santa Monica to learn citizens’ preferences and concerns about the city’s urban core. – and what about smelly maps? My personal experience is that local authorities’ online systems are now largely excellent, with most using similar indexing and searching systems. If you know what you’re looking for and have sufficient broadband capacity, the systems work. The Planning Inspectorate needs to catch up in terms of online availability of appeal documents – its NSIPs unit is by comparison a paragon of excellence, driven largely by the modern, prescriptive, inclusionary, processes of the Planning Act 2008. Of course there are bearpits to be avoided with online availability of information, for instance, careful attention is needed to prevent the publication of sensitive personal data, as Basildon Council discovered to its cost last month with a £150,000 fine from the Information Commissioner. Three years on, this is even more so. Away directly from planning, more widely in the industry, building information management (BIM) systems have already transformed construction and project management but only occasionally stray into earlier planning stages. Modelling has also reaped enormous benefits in the visualisation of development proposals as well as the modelling of the effects of development on daylighting, assisting for example with the excellent and challenging research document Guiding Light: Unlocking London’s Residential Density prepared by Gordon Ingram Associates in association with London First – partly using game engine software. – wouldn’t it be good to be able to carry out a thematic search within an authority’s website of all decisions in relation to a specific policy? – why should Compass effectively have a monopoly in relation to thematic searches of planning appeal decisions? – Why is http://www.gov.uk such a mess as a resource and a backward step on the old departmental sites? – why is due diligence on planning aspects of real estate transactions such a regular reinvention of the wheel without the standardisation that the City of London Law Society has for instance applied to certificates of title? – why has the Law Society still not updated since 2010 (2010! Pre-CIL even) its model section 106 agreement? – why is there no reliable way of checking with the High Court whether judicial review proceedings have been lodged? – for on line access to court transcripts, why are we reliant on the fantastic BAILII, the British and Irish Legal Information Institute , a charity reliant on donations ? Don’t we all need greater processing power? This was already feeling current as a topic and then I noticed that PlanTech Week is happening from the 12 to 16 June. You never know what’s around the corner. Let’s please constrain the circumstances in which the Secretary of State can intervene in planning decision-making. Who is going to carry on investing in housing land promotion when, frankly, the outcome of betting on the horses can be more predictable? The day before the Supreme Court’s ruling in Suffolk Coastal (where the Supreme Court justices examined the semantic intricacies of paragraphs 49 and 14 of the NPPF, extolled the virtues of expert inspectors and recognised the need to boost the supply of housing), judgment was handed down in Moulton Parish Council and the Earl of Derby v Secretary of State (Gilbart J, 9 May 2017). 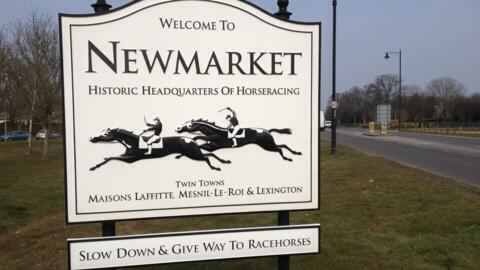 The case concerned the controversial proposals by the Earl of Derby for residential development in Newmarket, in the heartland of the British horseracing industry. The Secretary of State had in 2012 dismissed an appeal against refusal by Forest Heath District Council of planning permission for mixed-use development including up to 1,200 dwellings, 36,000 sq m of B1 employment floorspace. Whilst various representatives of the horse-racing industry had argued the scheme would harm their interests, through the traffic and other effects arising, the appeal was only dismissed on the ground that the scheme was premature, in that due to its strategic implications, it should be considered through the development plan process. There had been a policy in the local plan that included an urban extension for 1,200 dwellings north east of Newmarket that included the appeal site. However, the grouping of horseracing interests had succeeded in quashing that policy and related housing provision policies in Save Historic Newmarket Limited v Forest Heath District Council (Collins J, 25 March 2011). The Council carried out a “single issue review” of its housing policies, dealing with overall housing provision and distribution, and with site allocations and published a preferred options document for consultation. The review proposed a mixed use development, including 400 dwellings, on part of the previous site, and the Earl of Derby brought forward a planning application for that level of development. The application was resolved to be approved by the district council (after overcoming an attempted judicial review by objectors who sought unsuccessfully to overturn a negative EIA screening opinion) but it was called in by the Secretary of State on 11 July 2014. The inquiry took place in April and May 2015, the inspector’s report was dated 9 July 2015 and yet the Secretary of State didn’t issue his decision until 31 August 2016. The Secretary of State rejected the application for a number of reasons, including concerns as to highway safety, raised again in no uncertain terms by those representing the horseracing industry. So, a year for the Secretary of State to consider the inspector’s report and over two years since his intervention in the local decision-making process! One might think that the decision, which rejected the inspector’s recommendation that planning permission be granted, would be bullet-proof in its reasoning after such a delay. Hmm. The decision has been quashed by Gilbart J following a challenge brought by two parties, one unsurprisingly being the appellant, the Earl of Derby, but the other unusually being a parish council, Moulton, concerned at the additional pressure for development that would arise in its parish if the proposals do not proceed at the application site – after all, housing has to go in someone’s back yard, somewhere, sometime, doesn’t it? The application will now have to be redetermined. – what went wrong in the Secretary of State’s reasoning? – why did his decision take so long? – what is the role in practice of lobbying and political pressure in ministerial decision-making? What went wrong in the Secretary of State’s reasoning? – failed to have regard to his own previous decision “where he had reached conflicting conclusions to those he now holds on matters relating to highway safety, or has reached a conclusion on safety without evidence, or which is irrational“. A world away from the complexities facing the Supreme Court in Suffolk Coastal, the Secretary of State’s mistake on the first ground was an obvious one. The inspector reported that there were no up to date development policies in relation to housing provision and that therefore paragraph 14’s “tilted balance” in favour of sustainable development applied. However, the Secretary of State fails to address this material consideration at all in his decision letter. In relation to the second ground, the inspector and Secretary of State had found in the case of the larger scheme that highway safety problems were not likely to arise. There was no explanation as to his volte face. How wasteful for such an important decision to fall at two basic hurdles – hardly Brecher’s Brook, were they? A single careful sentence in each case would in my view have saved the decision letter. Why did the Secretary of State’s decision take so long? Call-in in this case led to a delay of over two years before his decision was received and the re-determination process will now add significantly to that delay, at no-one’s cost save for the Earl of Derby and indeed those in housing need. “About four months after the inquiry had finished the [Newmarket Horsemen’s Group] elected to make further representations in September 2015, as did the local member of Parliament the Rt Hon Matthew Hancock MP. The SSCLG circulated them for comment at the end of October 2015. He then circulated the comments he had received. So we can see that the problem comes down to a combination of a slow decision-making process and the opportunities that gives third parties to seek to bolster their case with post-inquiry representations, relying on the inevitability of changing circumstances over time; indeed, the longer the decision-making takes, clearly the more vulnerable it is to such interventions. No doubt, the ministerial changes that followed the June 2016 referendum were another factor but my basic principle still holds, in my view. It may be said that the Secretary of State needs to be allowed sufficient time to make a considered decision. But the outcome of the challenge demonstrates that time does not ensure quality of outcome. A study as to what was happening week by week in relation to the decision, from July 2015 to August 2016 would surely be instructive. What is the role in practice of lobbying and political pressure in ministerial decision-making? * raise significant architectural and urban design issues; or • may involve the interests of national security or of foreign Governments. However each case will continue to be considered on its individual merits “. The list of recent call-in decisions is a pretty long one. A decision to call in or not to call in an application is barely justiciable in practice (as long as properly reasoned to a basic extent) given the breadth of the criteria. “3.1 The proposal may have significant long-term impact on economic growth and meeting housing needs. This obviously leads to speculation, however ill-founded. The Independent for instance inevitably ran a story, “Tory minister lines up with racing royalty against new homes” on 16 August 2014. The political pressure being applied can surely not be doubted however. Recall as well that post-inquiry representations were being made against the scheme by the local MP, Matthew Hancock. We have seen the influence that individual MPs can bring to bear on ministers, with MP for Sutton Coldfield, Andrew Mitchell MP, having brought about the Secretary of State’s holding direction (now lifted) in relation to the Birmingham development plan, as a result of his concerns as to proposed green belt housing allocations in his consistency. It may be said that planning cannot be separated from politics but it is depressing to see. It was also eyeopening to see that of the seven decisions issued by the Secretary of State in his last day before purdah, with the parties suddenly in pre-election mode, six were to refuse planning permission. When the decision as to whether a major scheme goes ahead is not to be taken at local level, with the promise of a quasi-judicial assessment, how do we ensure that the role of the inspector is respected: the careful evidence taking and testing at inquiry and neutral evaluation of that evidence as against the statutory criteria? Our role becomes that of guessers as to how the politics, against the deployed legal tactics on all sides, will play out. This is how the next Secretary of State could make a difference: fewer call ins and fewer recovered decisions, but clearer guidance as well as renewed attempts to ensure that up to date local plans are in place. But what are the odds? NPPF Paras 49 & 14: So What Is The Supreme Court Really Saying? The Supreme Court’s judgment in Suffolk Coastal District Council v Hopkins Homes and Richborough Estates v Cheshire East Borough Council, handed down on 10 May 2017, has been keenly anticipated but what does it mean for the development industry? * specific policies in this Framework indicate development should be restricted”. Footnote 9 of the NPPF gives examples of “specific policies”, such as green belt policies or policies relating to particular environmental designations. * Should it be given a narrow interpretation, limiting it to policies that deal with the quantum and distribution of new housing, or a wider interpretation, including policies whose effect is to restrict housing development in certain parts of the authority’s area, for example gaps between settlements or land subject to particular landscape designations? * Once those “relevant policies” have been identified, are they to be given limited weight, or no weight? The Supreme Court (as did the Court of Appeal previously) had before it two separate cases raising these issues. The Cheshire East case had first come before Lang J in the High Court. Richborough Estates had appealed against Cheshire East Borough Council’s non-determination of its planning application for 170 (later reduced to 146) homes between Willaston and Crewe. The inspector allowed the appeal. He concluded that the council was unable to demonstrate five years’ housing land supply and that policies in relation to “open countryside”, “green gap” and “housing in the open countryside” were relevant policies for the supply of housing to be given reduced weight by virtue of paragraph 49. Lang J quashed the decision, on the basis that the inspector had erred in treating the “green gap” policy as subject to paragraph 49. The Suffolk Coastal case had first come before Supperstone J in the High Court. Suffolk Coastal District Council had refused planning permission for a development of 26 houses in Yoxford. The developer, Hopkins Homes, had appealed and the inspector dismissed the appeal. Notwithstanding a relatively up to date local plan, the inspector had found that it was “very unlikely that a five years’ supply of housing land could now be demonstrated”. He considered that none of the policies in the plan relating to the boundary of settlements, landscape, townscape, settlement hierarchy and the character of key and local service centres were “relevant policies for the supply of housing”. He also found that the proposal would have an unacceptable effect on historic parkland. Supperstone J ruled that the inspector had erred in thinking that paragraph 49 only applied to “policies dealing with the positive provision of housing” and also considered he had failed properly to assess the significance or otherwise of the historic parkland as a non-designated heritage asset. Both cases came before the Court of Appeal in January 2016 at a conjoined hearing. Lindblom LJ gave the judgment of the court on 17 March 2016 and found for the developers in both cases. He gave the phrase in paragraph 49 the “wider” interpretation, construing the words as meaning relevant policies “affecting the supply of housing”. He considered that it was then for the decision maker to determine the weight that should be applied to these policies, deemed out of date. The Supreme Court only hears cases that raise points of law of general public importance and this was the first time that issues concerning the NPPF had come before it, Sullivan LJ having granted permission on 1 May 2016. The case was heard by five Supreme Court justices, Lord Carnwath, Lord Neuberger, Lord Clarke, Lord Hodge and Lord Gill, at a hearing on 22 and 23 February 2017. Lord Carnwath gave the lead judgment for all of the justices save for Lord Gill who gave a separate judgment. Lord Carnwath and Lord Gill are the two justices most familiar with planning law south and north, respectively, of the border. Lord Gill indeed has been editor of the Scottish Planning Encyclopedia. This was his last case before retirement. His separate judgment provides a wider commentary on the proper role of the planning system in delivering sufficient housing, alongside that of Lord Carnwath, himself a former leading advocate at the planning bar. Carnwath, Gill, Sullivan, Lindblom: these are judges who understand our subject area and its particular complexities. The distinction between interpreting the meaning of words (a matter for the courts) and the application of guidance (exclusively a matter for the planning authority and inspectors) is stressed in Lord Gill’s separate judgment. The Supreme Court had previously determined in Tesco Stores Limited v Dundee City Council (2012) that “policy statements should be interpreted objectively in accordance with the language used, read as always in its proper context”. This has led to concerns (expressed by counsel appearing in these proceedings) “about the over-legalisation of the planning process, as illustrated by the proliferation of case law on paragraph 49 itself…This is particularly unfortunate for what was intended as a simplification of national policy guidance, designed for the lay reader”. (Lord Carnwath, paragraph 23). The court made it clear that “it is important that the role of the court is not overstated”. There was a specific development plan policy under consideration in Tesco and “some policies in the development plan may be expressed in much broader terms, and may not require, nor lend themselves to, the same level of legal analysis”. (Lord Carnwath, paragraph 24). “It must be remembered that, whether in a development plan or in a non-statutory statement such as the NPPF, these are statements of policy, not statutory texts, and must be read in that light…Furthermore, the courts should respect the expertise of the specialist planning inspectors and start at least from the presumption that they will have understood the policy framework correctly” and the courts have “cautioned against undue intervention” in policy judgments within specialist tribunals’ areas of competence. (Lord Carnwath, paragraph 25). Applicants for judicial review should “distinguish clearly between issues of interpretation of policy, appropriate for judicial analysis, and issues of judgement in the application of that policy.” (Lord Carnwath, paragraph 26). The court drew the analogy with a policy for the supply of employment land which may become out of date because of the arrival of a major new source of employment in the area. Whether it is out of date, and what should be the consequence, are matters of planning judgement, including any effect on other related policies, for example for transport. Other competing policies may need to be given less weight, but “again that is a matter of pure planning judgement, not dependent on issues of legal interpretation”. (Lord Carnwath, paragraph 55). This should also be the approach in relation to housing policies deemed “out of date” under paragraph 49. “It also shows why it is not necessary to label other policies as “out of date” merely in order to determine the weight to be given to them under paragraph 14. As the Court of Appeal recognised, that will remain a matter of judgment for the decision-maker”. (Lord Carnwath, paragraph 56). This is vital stuff! It changes what has been the orthodox approach to the paragraph 49/14 conundrum, rendering less important the analysis of which policies are “relevant policies” and bringing us back to a sensible balancing of the issues and allowing the need to secure an adequate supply of housing land to be taken into account in determining the weight to be applied to a policy, even for those policies not specifically caught by paragraph 49. Lord Gill’s separate judgment stresses the importance that the NPPF places on boosting the supply of housing. “The message to planning authorities is unmistakeable”. (Lord Gill, paragraph 77). He refers to “the futility of authorities’ relying in development plans on the allocation of sites that have no realistic prospect of being developed within the five year period”. (paragraph 78). In passing it should be noted that Lord Carnwath and Lord Gill both read into the footnote 9 examples of protective designations in the NPPF, references to the related development plan policies. Lord Gill notes that the “rigid enforcement of such policies may prevent a planning authority from meeting its requirement to provide a five-years supply” (paragraph 79). The meaning of “relevant policies for the supply of housing” on this analysis becomes less important. The court preferred the “narrow” interpretation, namely “housing supply policies”. “However, this should not be seen as leading, as the lower courts seem to have thought, to the need for a legalistic exercise to decide whether individual policies do or do not come within that expression.” If there is a failure to provide for a five year housing land supply “it matters not whether the failure is because of the inadequacies of the policies specifically concerned with housing provision, or because of the overly-restrictive nature of other non-housing policies.” (Lord Carnwath, paragraph 59). The shortfall is enough to trigger the “tilted balance”. Lord Gill puts it like this: “If a planning authority that was in default of the requirement of a five-years supply were to continue to apply its environmental and amenity policies with full rigour, the objective of the Framework could be frustrated”. (paragraph 83). On this basis, the inspector was wrong to adopt a wider interpretation to the policies at issue in the Cheshire East case. However, “that did not detract materially from the force of his reasoning…He was clearly entitled to conclude that the weight to be given to the restrictive policies was reduced to the extent that they derived from “settlement boundaries that in turn reflect out-of-date housing requirements”. The permission was upheld. On this basis, the inspector in the Suffolk Coastal case had embarked on an “inappropriate and unnecessary” exercise in distinguishing between policies which affected the supply of housing and those which did not. He should not have given the weight that he did to the settlement boundary policy given that it was “to an extent at least, no more than the counterpart of the housing policies.” The decision to dismiss the appeal was quashed and will need to be re-determined. This is the highest court in the land telling us to be less legalistic about the way we frame our arguments as to the application of national and local policies to development proposals. The exercise is not so much a close technical examination as to whether policies are “relevant policies” for the purposes of paragraph 49 but a weighing up of the consequences of a housing supply deficit against policies which are restricting that supply. In the Cheshire East case it is noteworthy that the court considered that it was right that the green gap policy was given less weight – not because it was a paragraph 49 policy (they found that it was not) but because it reflected out-of-date housing requirements. We have all perhaps been guilty, spurred on particularly by the Supreme Court itself in Tesco v Dundee, of seeking too often to reduce matters of planning judgment to narrow points of legal interpretation. It is a habit we need to break. The court stressed the expert role of inspectors. Of course not all decisions are taken by inspectors. Is the same latitude to be given to local planning authorities’ decisions, whether given on or against officers’ recommendations, or to those of the Secretary of State? The point is unaddressed, given that the only two situations before the court were decisions taken by inspectors. If the advice of the court leads to fewer judicial reviews and statutory challenges, that is surely to be welcomed. The previous Government has of course been consulting on potential revisions to the NPPF. I would suggest that the new Government reflects on the approach that it should take in the light of this judgment. The amendments that the Government had proposed to paragraph 14 may not give rise to undue concern but shouldn’t more thought be given to whether it is right or not further to complicate paragraph 49 with reference to a three years’ supply safety net where a neighbourhood plan is in place containing defined housing policies, as proposed in the December 2016 written ministerial statement? Isn’t this precisely the over-prescriptive approach being deprecated by the court – and one driven perhaps by a concern that communities were seeing local designations in some way “switched off” or automatically being given less weight through being treated as “relevant policies”? This should no longer be feared. Instead, a sensible balancing exercise will need to be undertaken. Lastly, the relationship, in the statutory presumption, as between the adopted development plan and other material considerations, has been sought by some judges to be rigidly applied, in a way which does not sit well with this ruling. I am thinking particularly of Green J’s judgment in East Staffordshire Borough Council v Secretary of State and Barwood Strategic Land (22 November 2016) an appeal against which is due to be heard by the Court of Appeal (probably again with Lindblom LJ as the lead judge) on 25 May 2017. It will be fascinating to see this early application of the Supreme Court’s thinking. (Town Legal LLP acted for Richborough Estates in this case. Special personal thanks from me to Christopher Young and James Corbet Burcher, both of No 5 Chambers, and to my colleague Ricardo Gama). Author simonicityPosted on May 10, 2017 May 11, 2017 Categories Housing, NPPF, UncategorizedLeave a comment on NPPF Paras 49 & 14: So What Is The Supreme Court Really Saying? The current version of the London Plan is no little plan, but fails the “magic to stir blood” and “noble, logical diagram” tests. It runs to over 400 pages, which is surely ridiculous – particularly since it is legally constrained only to deal with “matters which are of strategic importance to Greater London”. (Whilst no replacement for a formal document, New London Architecture’s 2015 summary of the document in a four minute video fronted by Peter Murray shows how the key messages can be got across in a more accessible and rousing style). We are expecting initial non-statutory public consultation this autumn into a review of the current plan, so as to reflect the policy priorities of our third London Mayor, Sadiq Khan. Following this initial process, there would then need to be two formal consultation stages (the first with the London Assembly and GLA bodies, the second with the public) before an examination in public into the submitted document, which the Mayor projects for summer 2018, and perhaps adoption (his fingers still crossed) in autumn 2019. So even on a best case the Mayor will not have an adopted plan until over three quarters of his way through his four year term of office. His predecessors had the same problem. It took Ken Livingstone four years from election in 2000 to have in place the first London Plan (which ran to an even more thudding 420 pages) and it took Boris Johnson three years from election in 2008 to have in place his 2011 Replacement London Plan, which, subject to three sets of alterations, remains the current plan, supplemented by no fewer than adopted 21 SPGs with two further SPGs currently in draft (Culture and Night Time Economy (April 2017); Affordable Housing & Viability (November 2016)). The extent of reliance on SPGs is no doubt partly down to the exclusion of non-strategic matters from the plan itself (although the SPGs cover a whole range of strategic matters) but as much as anything is probably down to pragmatism, given the slowness of the statutory process. There are urgent and important issues to be grappled with, with implications far beyond London postcodes. Why do we put up with such slow processes? The London Plan, or “spatial development strategy” to give it its statutory title, is a strange and unwieldy beast and, as we await consultation on its new incarnation, let’s remind ourselves of some of the curiosities arising from its statutory basis in sections 334 to 341 of the Greater London Authority Act 1999 and the Town and Country Planning (London Spatial Development Strategy) Regulations 2000. The legal structure for the plan arrived at in the 1999 Act was at the time largely novel. The plan superseded the then Government’s non-statutory regional planning guidance (specifically, RPG3, the then regional planning guidance for London) and the procedure set out for the adoption of this new strategic regional plan echoed in part the examination-in-public process for structure plans of the time. (My recollection from then was that the emphasis on “strategic” was to mark a contrast from the over-prescriptive and slow plan-making of the previous Greater London Council – nice try!). When the development plans system (over-engineered in the extreme) was created by virtue of the Planning and Compulsory Purchase Act 2004 (which also introduced statutory regional spatial strategies for the rest of England), although the London Plan was not a “development plan document”, it was part of the statutory development plan alongside the boroughs’ development plan documents (ie core strategies etc). Under section 38(6) of the 2004 Act, planning applications therefore must be determined “in accordance with the plan unless material considerations indicate otherwise”. The application of the criteria was tested in R (Spitalfields Historic Trust) v Mayor of London (Gilbart J, 10 May 2016). By way of the Localism Act 2011 the regional spatial strategies were abolished but the London Plan remained. The extent to which the London Plan was a development plan for the purposes of the new “duty to cooperate” that the 2011 Act introduced (by way of inserting a new section 33A into the 2004 Act) was left unclear. The plan also now sat not just above the boroughs’ individual local plans but also above potentially a tier of neighbourhood plans below those plans. When the Government’s National Planning Policy Framework (haiku-like little plan, in contrast to the swathes of guidance it replaced) was published in March 2012, it cancelled the guidance there had been in Circular 1/2008 as to the contents of the London Plan. There is now very little direct guidance for the Mayor in the NPPF or indeed in subsequent Planning Practice Guidance. As well as the Mayor’s “general policies in respect of the development and use of land in Greater London” (section 334(3)), it must deal with any “general spatial development aspects” of the other strategies, policies and proposals that he is responsible for, whether or not they relate to the development or use of land (section 334(4)). These other strategies include transport, bio-diversity, waste, air quality, noise and culture. The plan “must deal only with matters which are of strategic importance to Greater London” (section 334(5)). The meaning of “strategic” was tested in R (Mayor of London) v First Secretary of State (Forbes J, 7 April 2008). The then Mayor had directed that Brent Council should refuse planning permission for a student housing scheme on design grounds. The developer appealed against the refusal and in allowing the appeal the Secretary of State awarded costs against the Mayor on the basis that he should not have intervened on grounds that were not of strategic importance. The Mayor challenged the award of costs but the court held that the Secretary of State had been entitled to reach that conclusion. There has been legal argument as to the extent to which the formal “duty to co-operate” (for what it’s worth) is engaged in relation to the London Plan. This occupied time at the examination of the 2012 examination of “revised early minor alterations” to the plan and the 2014 examination of further alterations. “Section 110 of the Localism Act introduced a new section (33A) of the Planning and Compulsory Purchase Act 2004 which imposes a duty on local planning authorities and other prescribed bodies to co-operate in a range of planning activities. The Mayor is a prescribed person for the purposes of the duty but the London Plan is in effect a regional strategy (RS), the preparation of which does not fall within the list of activities covered by the duty, such as preparation of Development Plan Documents (DPDs). Activities that can reasonably be described as preparing the way for activities such as DPD preparation fall within the duty. However, I do not agree with the South East Waste Planning Advisory Group and the East of England Waste Technical Advisory Body that the LP can be considered to meet this definition, since its production is an activity in its own right“. * inform local planning authorities in the vicinity of London of his views concerning any matters of common interest relating to the planning or development of London or those areas (sections 339 and 348). However, it is a point that needs urgently tidying up to avoid legal uncertainty in the context of the forthcoming plan. No doubt, the new plan will duck the issue, but should it? Section 24(1)(b) of the Planning and Compulsory Purchase Act 2004 requires borough plans to be in general conformity with the London Plan. The content of the plan is clearly of critical importance to the boroughs and the sensitivity is heightened given that the Mayor does not have to accept an inspector’s recommendations. Differing political priorities between the Mayor and boroughs can lead to tensions, as we saw in relation to the affordable rented housing policies in “revised early minor modifications” introduced by Boris Johnson. Nine boroughs challenged the policy which had been adopted in the face of recommendations from inspector Geoff Salter in his report dated 19 June 2012. They argued that the policy would unlawfully preclude them from imposing borough-wide caps on rent for affordable rented housing at lower than a London-wide default level of 80% of market value. So, a plan is to be adopted in 2019 with a two year preparation process, within which period the environmental and other implications of emerging policies will need to be thoroughly tested. How will it point London forward in a certain and confident way given the various current uncertainties over such issues as Brexit (given the particularly internationally-facing role that Greater London plays, a clear priority for Khan will be to avoid a hard Glexit, regardless of the consistency of any Brexit); Heathrow; Crossrail 2; the Bakerloo Line extension and other infrastructure proposals, and whatever emerges as the (new) Government’s air quality plan? But perhaps above all of these uncertainties remains the continued desperate need for increased housing, with affordability a key component. What a challenging prospect the Mayor and his team have ahead of them in appropriately directing boroughs and developers with clarity and precision, retaining the good, snipping out the unnecessary or counter-productive. Let’s hope that, in every respect save its length, this turns out to be no little plan.